I figure I've mentioned that I'm reading this book about 1,984 times, so I better give you a teaser as well. I promise I'm about 72% done with it now so I might actually finish it sometime before my kids go to college. This is part of a passage that I think is one of the most strikingly well-written of the entire novel. I wish I could post the entire scene for you...BUT I GUESS YOU'LL JUST HAVE TO READ IT YOURSELF. This year, I am being SUPER choosy about my TLC review books (because of Tater Tot's arrival and my thus-limited reading time). Therefore, you can rest assured that any TLC books I review here have gone through my ever-so-exacting vetting process (ie. I read the synopsis and it made me feel many feels). What I Had Before I Had You is the first TLC book I'm reviewing in 2014, and it stands up to my newly rigorous standards, because I lurved it. I think what makes this book stick out in comparison to other family dramas is that it's a bit of a chameleon--the story has so many interesting angles, delicately woven together, that the central focus of the story is constantly changing. One minute, you're centered on Olivia's past and her connection (or disconnection) with her mother...the next minute, you're caught up in the search for her son Daniel...and then you find yourself contemplating the ways bipolar disorder has shaped this family's trajectory over so many years. This may make it sound like the novel is disjointed or jumpy, but it's not--the author (Cornwell) does an awesome job of blending all these elements together. I honestly didn't realize the full complexity of the story until I sat back after reading the last page and considered the novel as a whole. This is one of those books that would be great for book clubs--the discussion possibilities are endless. Even the title...it can be construed in so many different ways. A reference to Olivia's childhood, or the genetic legacy of bipolar in her family, etc...and does it smack of nostalgia, or wistfulness, or both? SO MUCH TO ANALYZE. My high school English teachers would be proud. One thing I'd LOVE to discuss with anyone else who's read this is their thoughts on the main character, Olivia. I feel kinda bad saying it, but I didn't find her entirely likeable. That sounds harsh, when you consider that she had a rough childhood (being brought up by a bipolar mother who was rather neglectful at times), was eventually diagnosed as bipolar herself, and is now struggling to raise a bipolar son. But there's just something about her that I found to be...abrasive, maybe? A little too defensive, or rough around the edges? Hard to say. Yet another reason why I appreciate the careful way that Cornwell crafted this story. I'll admit that I was a little slow to get caught up in this story, but once I did, I jumped in feet first. The multidimensional nature of this novel makes it one of the better family-based books that I've read lately. Part drama, part mystery, but either way, a must-read. Check out the other blogs on this book tour HERE. 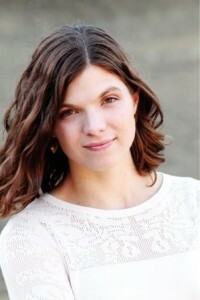 And connect with Sarah Cornwell on her Facebook page. I'm always pretty stoked when I start the year off with some awesome reads. Have any books knocked your socks off yet in 2014? Rochester Teen Book Festival: PREPARATION STAGE! Hello, my lovelies! I know, still pretty MIA over here. Tater Tot is starting to be less Sleepy Baby and more Awake Baby, and Small Fry is still Insane Toddler, so I've been rather busy. Still reading the same two books...convinced I will turn 90 before I finish The Goldfinch...but we're getting there. In the meantime, I'm putting my Christmas money to good use. Thanks to Katie at Doing Dewey, I found out about the Rochester Teen Book Festival, taking place this year on May 17. I looked into it, and I am SO EXCITED that this event is basically going on in my backyard. They have a really awesome lineup of authors coming this year, and I can't wait to go! But what is a book festival without books to be signed?? I have heard of all of these books/authors but, astoundingly, never read any of them! (Actually, I did read The Last Summer of You and Me by Ann Brashares a while back, but I gave away my copy, so I decided to buy Sisterhood of the Traveling Pants instead.) My goal before May 17 is to read them all, and then get them signed. WOO!! How about you, readers? Attending any great book festivals this year? (Don't even tell me if you're going to BEA, cuz I'm totes jealous.) And if you're going to TBF, let me know!! Did I just bookish-Pinterest something? Hello, readers! I know, lots of radio silence around here lately. 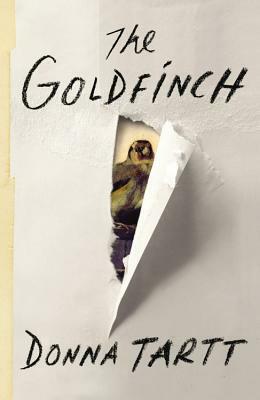 Let me assure you that I am reading a fabulous book right now (The Goldfinch by Donna Tartt), but it's eleventy billion (or 800) pages long, so it's taking me a rather long while to get through it. But never fear, reviews to come soon. I am blogging today to share an idea that I'm super psyched about for this year. As you know, the only reading challenge I'm doing in 2014 is the TBR challenge. I am limiting myself to my print-book TBR, because I have a ton of unread books on my shelves at home. I have actually run out of shelf space at this point...and I refuse to consider giving away any books until I've actually read them. So a-TBRing I must go. However, sometimes it is so overwhelming to pick from the giant pile of books that await me on my shelves. This is because my TBR pile is a mish-mash of many things: books I bought and have been dying to read for ages, books I randomly inherited from people who were clearing their shelves, classics that I bought and feel that I should read (but am not exactly dying to), etc. My book jar is really more of a...book baggie. Because I don't have a jar available, but I DO have lots of plastic baggies. I know, kind of lame. I will work on getting a jar. It's like a bookish dime bag! 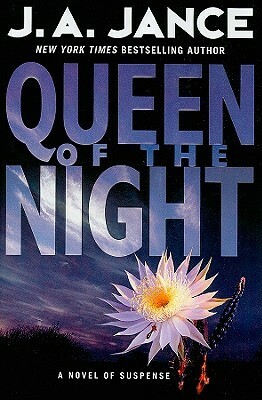 Queen of the Night by J.A. Jance! Woohoo!! Review to come (once I finally finish The Goldfinch, of course...). What are some fun ways that you choose your next read? Creative director Taylor Montgomery gets the surprise of her life when she finds out she's pregnant the same day her best friend, Hilarie, finds out she's not. Taylor never wanted to be a mom, but it's all Hilarie has dreamed about. 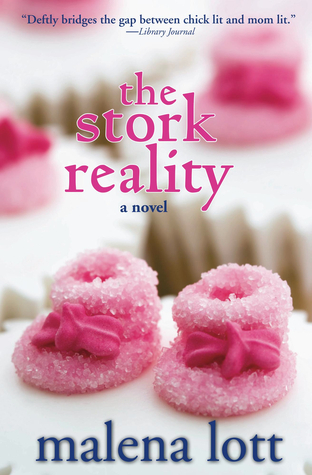 The Stork Reality updates this novel about the journey to motherhood and how pregnancy changes marriage, work, and even close friendships. 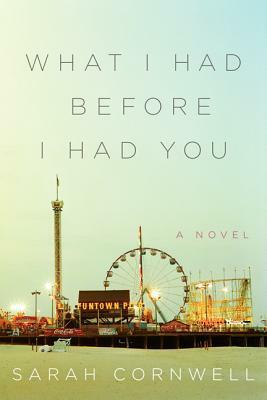 The front cover of this book has a critic's quote on the front that says it's a blend of chick-lit and mom-lit. I'd say that nails it fairly well (and with the caveat that you should be pretty familiar with pregnancy/childbirth before reading...certain specifics of it are not explained very well for the layperson who might be reading). The main character, Taylor, is a high-powered ad exec (think Mad Men), married to a high-powered lawyer, and no real plans for kids in her future. She's got a great job, she's in tip-top shape, her husband is a hottie, and she has a pack of girlfriends to hang out with. Chick lit: check. But, Taylor very unexpectedly finds out that she's pregnant. Whoops. Now she's got 9 months to figure out this whole baby/mothering thing. Mom lit: check. I've read my fair share of "mommy fiction", and while this book was fun, I can't say it was my favorite. A lot of the book felt a bit disjointed to me. For example, (as mentioned in the description above), Taylor's friend Hilarie is battling infertility during Taylor's pregnancy. This is pretty emotionally draining for Hilarie, of course--if you know anyone who has faced infertility, you know that's true across the board. So that's why I was rather surprised when Hilarie's dream finally does come true...with very little fanfare. It happened quickly and without the sort of massive celebration I expected leading up to the event. I felt similarly about how Taylor's husband (Jake) came around to the idea of the pregnancy. He does such a quick about-face in his attitude towards it, it almost seemed like he wasn't the same character. Then there's this whole backstory about Taylor trying to come to terms with her parents' deaths...I don't know. I just wasn't feeling it. I think the real issue is that this book tried to tackle some emotionally difficult problems, but wrote about them so shallowly that they weren't really given their due. It's hard to write with a chick-litty flair and still be able to let your main character properly explore her deeper attachment issues, you know? And it's not like the book made up for it in humor, because I didn't get much of that either. As a result, the writing seemed rather bland overall. Final verdict...if you want something light and have an interest in pregnancy/mommy related fiction, this may be a good way to pass the time. But I do think there are other options within this genre that tackle the issues better, with more humor, and more depth. What was your first read of 2014, friends? Happy 2014, readers!! Here's hoping for a fun and exciting new year! 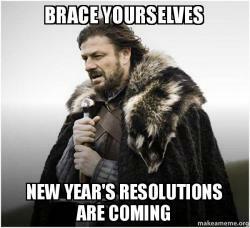 It's time to review my resolutions for 2013 and see how I did. These were the resolutions that I posted at the beginning of the year...both book-related and not. So, did I meet my goals, or fail miserably? The Well-Read Redhead's 2013 Resolutions: Pass or Fail? 1. Read at least 60 books, and complete the challenges I signed up for: HALF PASS! According to Goodreads, I read 72 books in 2013...woohoo!! Gotta love overshooting the reading goal. HOWEVER, I definitely did not complete all of my challenges. 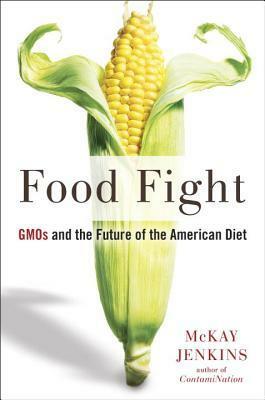 Out of the 5 challenges I took on, I completed 3 (Foodies Read, Audiobook, and Keyword). I half-finished the Around The World in 12 Books challenge (did great until mid-year, then kind of dropped off), and didn't even come close to the TBR challenge. Lesson learned: 5 challenges is way too many! 2. Mix in some varied content with my book reviews: ehhhh, mostly FAIL. I did OK with this early in the year, but when life got crazy with our move and the pregnancy, I didn't have the time/mental capacity for much more than book reviews. Ah well...perhaps when things settle into a better routine...you know, in like 2016 or so? 3. Manage my computer/phone time better: mostly PASS! My big goal here was to stop letting technology time cut into my family time. For the most part, I think I've done a good job with that. I make a very strong effort not to check my iPhone every 2.4 seconds while I'm home with Small Fry and Tater Tot (and for the most part, I only check it during the day when they're sleeping or otherwise occupied). And at night, I am rarely doing blog stuff on the computer anymore, because I try to save it for naptime. I'd like to keep working on this (I have my days where I don't do as well with it), but overall I'm glad I made this a goal for the year. 4. Eat (and cook) with more variety, and more healthfully: PASS! I'm still no Escoffier, but I did make a really concerted effort to try lots of new recipes and cook healthy meals for my family. We eat takeout almost never, which I'm happy about, and the food we eat at home has had good variety for the most part. I'm hoping to keep this up this year...especially as I try to lose baby weight. Haha. 5. Print photobooks of our past family photos: FAIL! I was going to make photo books on Shutterfly from 2009 on (I already have printed photo albums for our years as a family before that, 2005-2008). I made the 2009 photobook last January and then never ordered it. LOL. It's just so darn expensive!!! So maybe if I fall into a few hundred extra dollars this year, I'll finally get a few ordered...yeah, probably not. I obviously did not take possible pregnancy into account with this goal. What are abs again? 1. Read at least 40 books. I'm going way easy on myself and lowering my goal by 20 books, thanks to Tater Tot's arrival. I really have no idea how much reading time I'm going to have this year, so I'm hoping not to pressure myself too much. 2. Complete the TBR challenge. Five challenges was way too many for 2013, so I'm limiting myself to one this year. I have soooo many books on my shelves at home, and it's time to tackle them! I'm also planning to cut back on ARCs this year, so that should help me fail less miserably. 3. Run at least one 5K by year's end. I really, really, REALLY can't wait to start running again once I get exercise clearance from my OBGYN. However, I know my running time is going to be limited, and I was less physically active during this pregnancy than I was with Small Fry's. So, if I can complete one 5K race by the end of the year, I will be happy. More than one is a bonus. 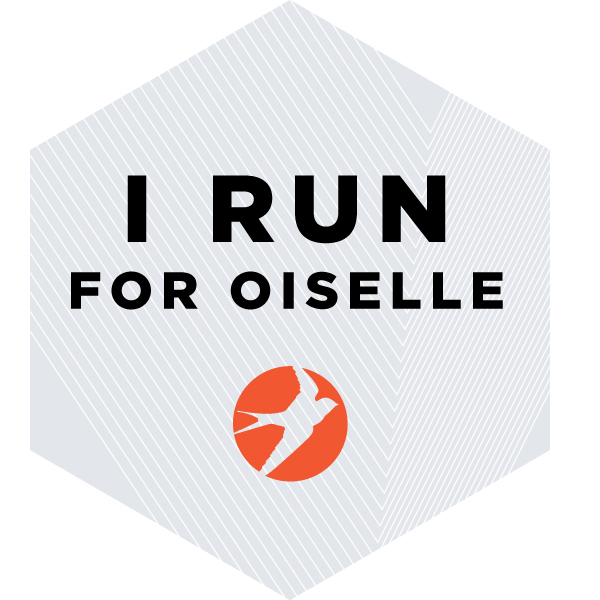 Long term goal: to complete the Boilermaker 15K in July 2015. I ran it in 2008 and it's such a fun race, I'm hoping to be back in shape for it by then. 4. Be a patient momma. Okay, that's it! You heard 'em here first. Now, what are YOUR resolutions for 2014? ?